Eerikkilä is a unique combination of nature, well-being and optimising one’s own performance. For decades already, organisations from national sports teams to listed companies have found new energy and inspiration for their activities. 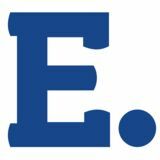 erikkilä offers companies and organisations high-quality meeting and well-being services. We harness our facilities and expertise used by top athletes and unique natural surroundings to also serve our business customers. The end result is an overall package that offers your organisation energy and new ideas for a long time to come. A company event flavoured with diverse exercise and wellbeing services creates an unforgettable experience. It is easy to choose additional activities to add to the comprehensive schedule from a wide selection of exercise and nature options and expert lectures. Our proactive service concept genuinely tailored to the needs of the customer is a source of pride to us. Our compact size is perfect for organising company events effortlessly. It is easy to stick to the schedule when all you need is close at hand. At Eerikkilä, you can concentrate on what is essential. Our facilities offer state-of-the-art conference rooms, technology, accommodation and catering. Our conference rooms are equipped with the very latest technology and have the flexibility to cater for all events. In addition, our sports halls can be converted to host seminars and company parties. and the closest city is Forssa, about 20 km. We have received excellent feedback for our customer service. A happy customer is extremely important to us. Our everyday work brings us joy and we go the extra mile to make our customers happy. We are also small enough to tailor events just the way you dream they should be. Enjoy outdoor activities and experience the benefits of nature for your well-being. We are surrounded by two national parks: Liesjärvi National Park and Torronsuo National Park. These beautiful nature destinations offer a silent get-away from the rush of everyday office life. We guarantee that at Eerikkilä you will find a holistic and satisfying nature experience. RESTAURANTS AND ACCOMMODATION In addition to training and being active outdoors, rest, recovery and nutrition are the cornerstones of developing yourself. At Eerikkilä, we put a lot of effort into providing you with tasty and nutritional food and great accommodation options. Here you are fuelled with healthy food from local ingredients and a good night’s rest. Eerikkilä provides a variety of great accommodation options for every guest. We are especially proud of our new villas and apartments. They are amazing places for teams to come together and come up with new ideas. Our villas and apartments are suitable for two to thirteen people. In total, we offer accommodation for 400 people in different rooms: qualified hotel rooms in two different buildings, bigger apartments for teams, cosy apartments for families and simple, cheaper rooms in a hostel. All of our accommodation options are located close to our activities, and you won’t waste time with any unnecessary transportation or setting up meals. At Eerikkilä, we provide you with tasty, healthy and clean local food. Our menus are designed by award-winning chef Pekka Terävä, and they are planned to meet the demands of active people. As a large number of our guests are young children and teenagers, we put a lot of effort into the nutritional values of our food, taking no shortcuts. Food plays a major role in holistic wellbeing, and you can be sure that here your nutrition is in good hands. TOP-CLASS CONFERENCES At Eerikkilä, you can concentrate on the essential. Our facilities offer state-of-the-art conference rooms, technology, accommodation and catering. Our conference rooms are equipped with the very latest technology and have the flexibility to cater for all events. Eerikkilä offers an outstanding venue for company events, conferences and organizations’ wellness theme days. The modern conference and presentation setup, topped with customizable facilities for 8–150 persons guarantee that your event will be a success. In addition, our sports halls can be converted to host seminars and company parties. You can also be creative and take your meeting outdoors. What could be more inspiring than having a team meet up under a pine tree, by a lake or under one of our shades. We also provide catering in nature, with a smaller team you can enjoy coffee and pastries under a lovely blue sky. WELL-BEING AND ENERGY FOR WORK The well-being of your personnel is the greatest asset of your company. From time to time, it is important to take breaks from the everyday rush and boost the energy levels of your people and increase their well-being. Company results are created by people who feel healthy, active, rested and get all the nutrition they need for mind and body to perform at the highest level. We offer a wide range of activities from sports, testing, lectures and recovery. With us, you can enjoy the outdoors with our fat bikes or we can help you recover with a stretching class. Different kinds of adventures and team competitions in nature are also very popular. At EerikkilĂ¤, we are happy to help your company reach the next level in workplace well-being. We can tailor your days to meet your needs, ranging from one day to a more extensive concept including several steps. We offer you expertise from top level sports and help your company reach the goals of tomorrow. EerikkilĂ¤ offers you and your team an opportunity to be inspired in the surroundings of amazing nature and exciting activities. We offer our holistic expertise and services so your organisation can develop. 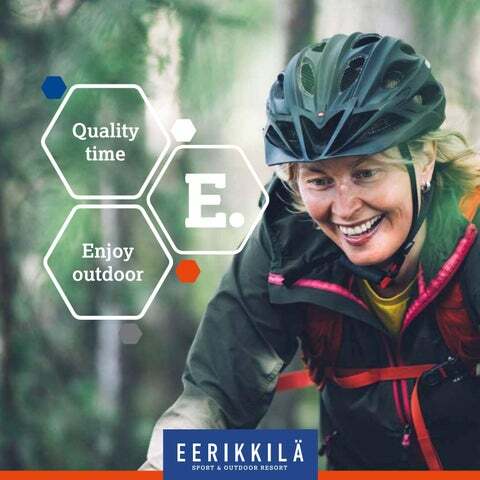 EerikkilĂ¤ Sport & Outdoor Resort is a place for people who aim to develop their know-how and well-being. We provide top services and facilities for sports, education and corporate events, as well as recreational and outdoor experiences.